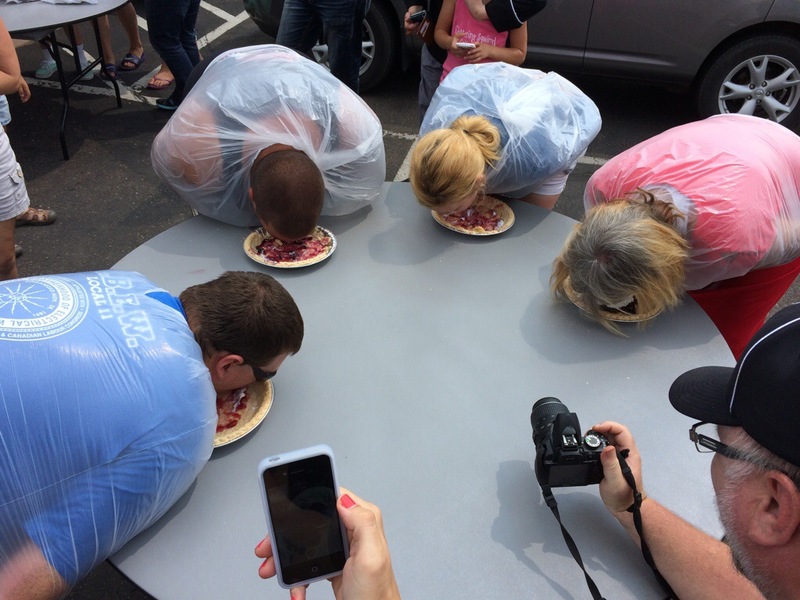 Eat your heart out in a pie eating contest! 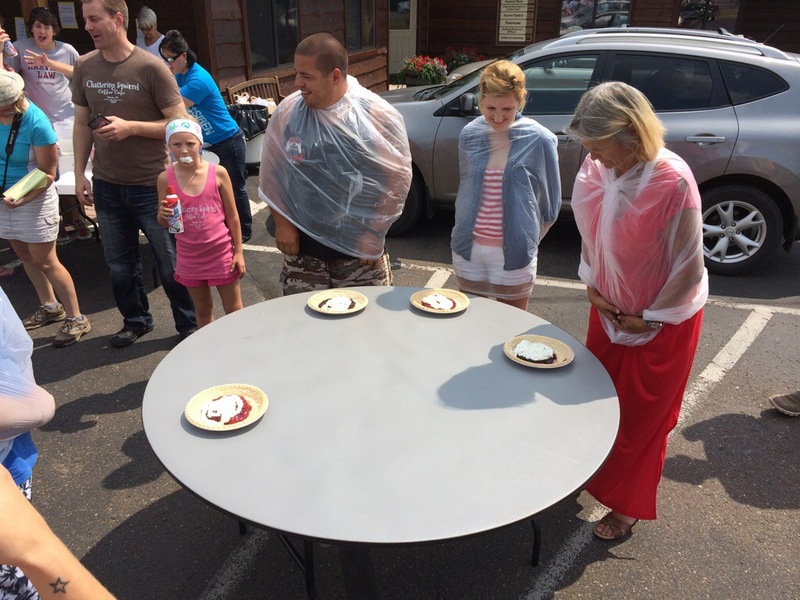 Siren, Wi has an annual pie eating during their Summerfest. 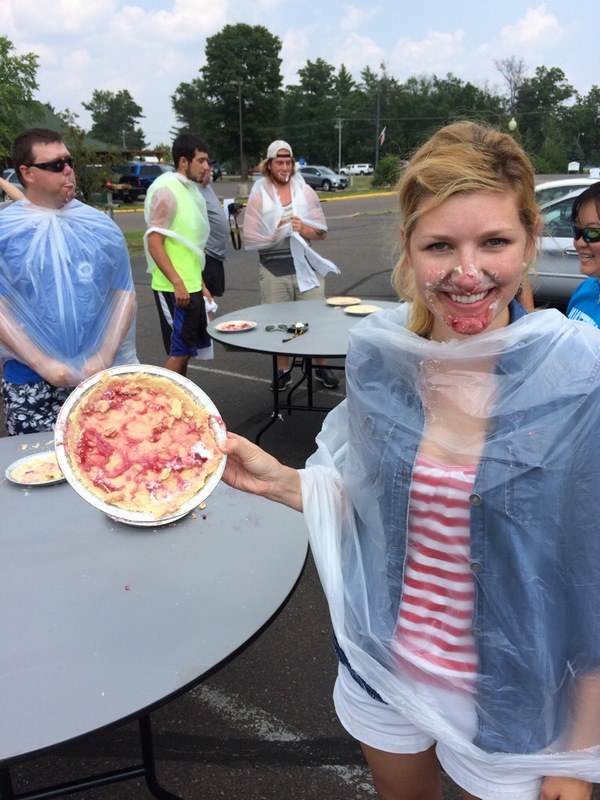 And this year after googling ‘How to win a pie eating contest,’ I decided to enter. My competition was a 60 year old woman and 5 men. Ryan gave me some pep talks because I told him I was just going to casually eat the pie. Ryan told me to give it my all and that’s what I did. 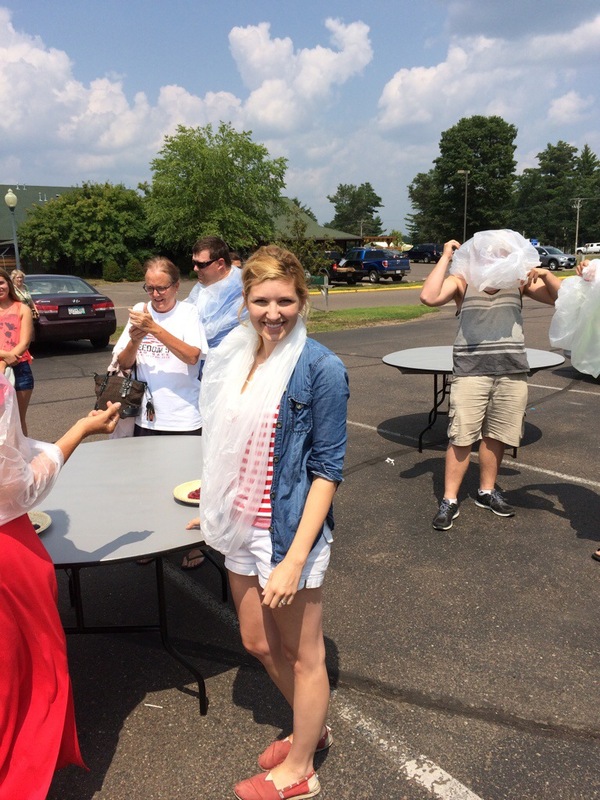 Getting ready to eat pie! We were able to choose our pie flavor. We had the choice of peach, blueberry and cherry. Ryan and I strategized and decided peach would be the least messy. I ended up choosing cherry at the last minute because I decided that cherries would go down faster with less chewing. The pies were set in front of each of us and we had a full minute to see who could eat the most. I finished my filling and started in on the crust. The guy next to me ate more of his crust than I did and he won.